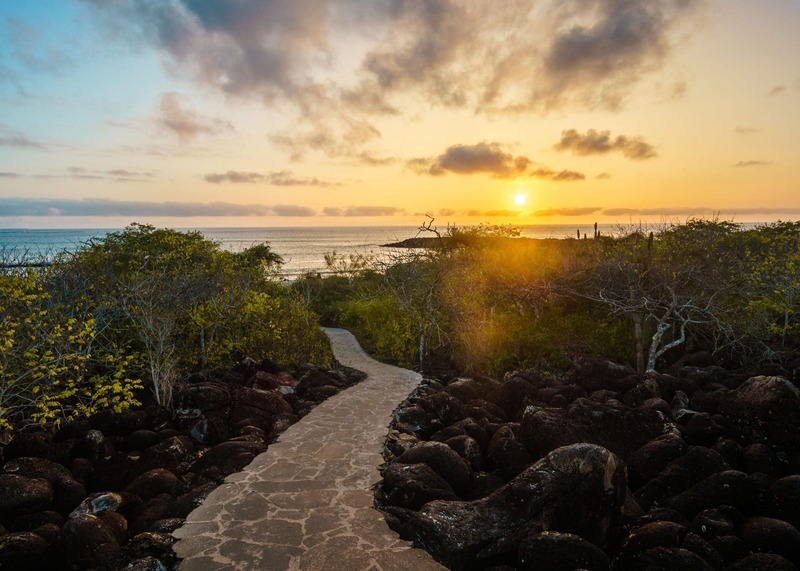 Given their remoteness and one of a kind natural offerings, the Galapagos are hardly known as a budget travel location, but we have managed to spend almost 3 weeks on different islands without doing a cruise, nor a completely organized tour. Read on for our guide to DIY, land based travel in the Galapagos Islands. 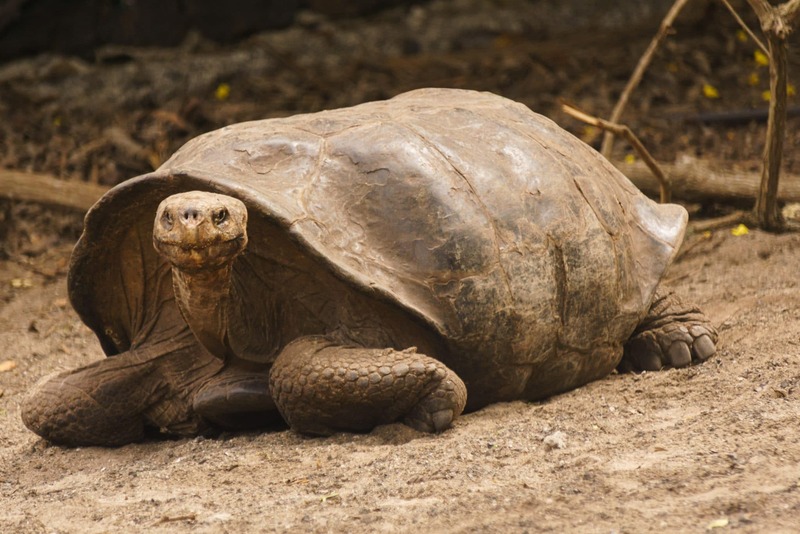 Visiting Galapagos – Cruise or By Land? The first question to ask when planning a visit to the Galapagos Islands is whether to visit by cruise or by land. Many blog posts will say that the only way to visit the islands is by a cruise, but I suspect that a lot of these people were given a free cruise to say so. Indeed, there are pluses and minuses to both ways of travelling and it depends largely on what you want to do during your time there, and what your budget is. Hint: Galapagos cruises are not cheap. The main benefit of a cruise is that you may see more of the islands, and visit more remote areas on the main islands. For example, while you can see hammerhead sharks at Gordon Rocks or Kicker Rock, the absolutely massive schools of hundreds of hammerheads sharks swarming can only be seen by liveabord (re: not an average tourist cruise) at the remote islands of Darwin and Wolf. That said, a drawback of a cruise is that you will spend a very limited amount of time at each spot and will miss some of the excellent land-based activities, such as cycling in Santa Cruz, hiking in the highlands, viewing wildlife, and taking in the tranquil island lifestyle. Last-minute deals can be found for cruises, for example, many hostels in Quito offer a 4 day cruise for $750usd. Keep in mind though, that you will spend you first and last day docking and not able to spend the whole day enjoying the islands so a 4-day cruise may leave you wanting more. Also, it is expected that passengers budget around $20 per person, per day for tips to each of: the crew, guides, cooks, etc which adds considerably to the total cost. We met some folks who had just finished their cruises and still felt the need to book tours while on the islands as most cruises don’t cover activities such as SCUBA diving. The exception of course, being SCUBA live-aboards which is definitely something we want to do one day! 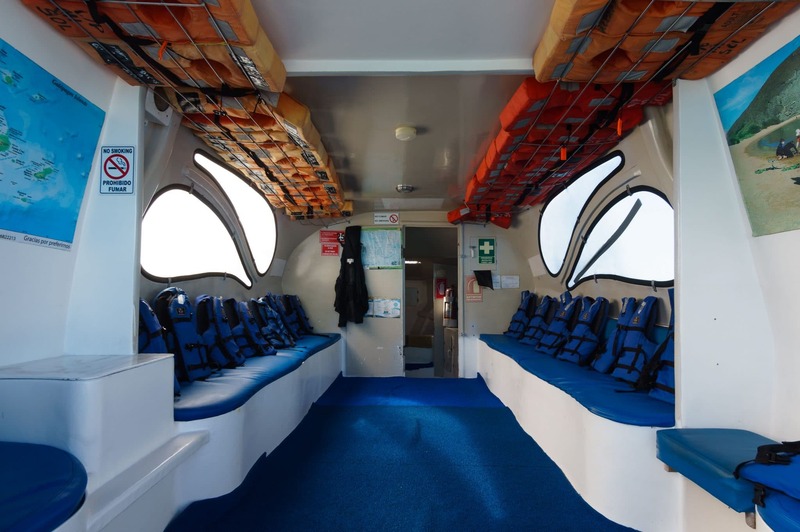 However, SCUBA live-aboards don’t offer the same land wildlife viewing opportunities, so you need to be clear on your priorities and what you want to do while visiting the Galapagos Islands. A land-based tour offers the benefit of being easier on the budget since there are many activities that can be done on each of the islands for free, as well as offering the flexibility to visit the islands that you desire, travelling at your own pace, and picking and choosing which tours to do as per your personal interests and budget. Another thing to consider, is that there is a great variety of food choices on the individual islands which we loved being able to sample during our stay. 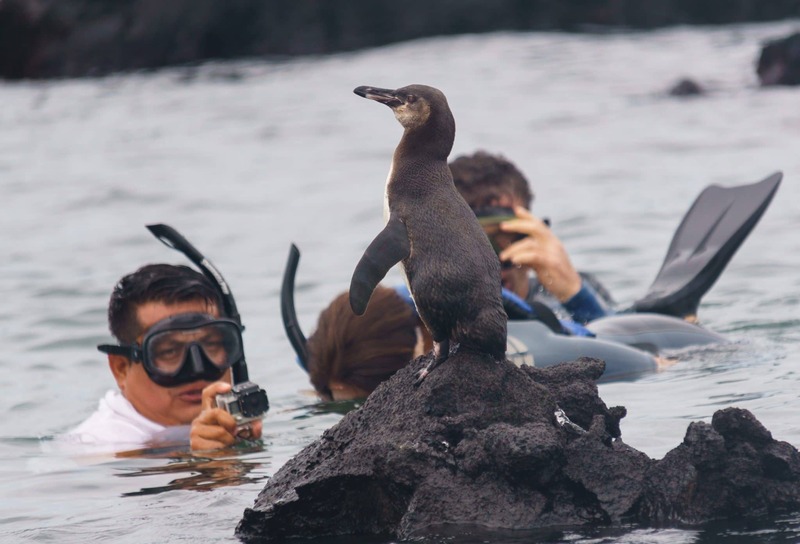 One last thing to consider is that a land-based visit to the Galapagos offers more benefits to the local economy than a cruise or an organized tour arranged with a foreign company. The Interpretation Center on San Cristobal explains in the graphic below explains how tourism is only sustainable if it benefits the local community. By arriving in the Galapagos and setting up your lodging, tours, and activities with local businesses, you put the benefits of tourism squarely in the hands of the locals who are the people that bear the impact of having tens of thousands of people visit their homes annually. This unfortunately terrible quality cellphone picture shows that when tourism is unsustainable, the majority of benefits go to other countries rather than the one shouldering the burden of the impacts of the industry. First things first, getting to the archipelago is no easy task and it is difficult to find budget flights. 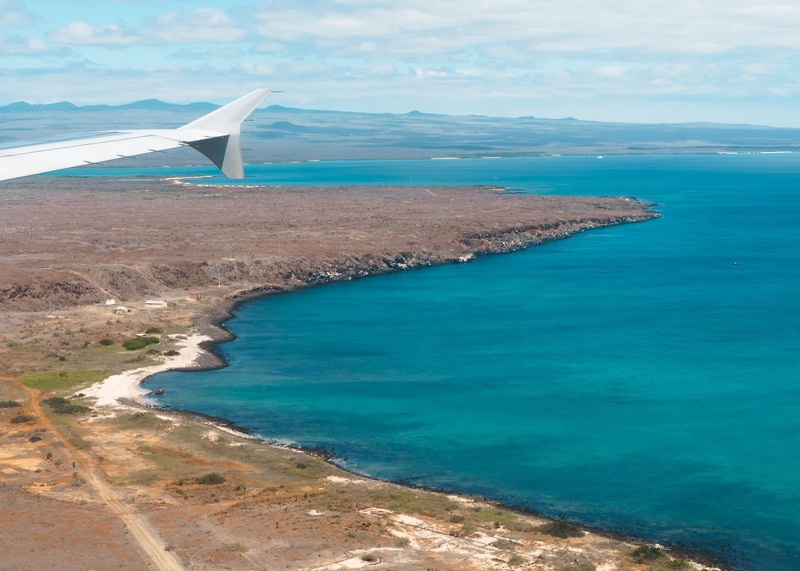 Avianca, LATAM, and TAME are the major airlines that fly to the Galapagos Islands. We recommend using SkyScanner to figure out the best flight numbers, but then booking through a trusted site such as directly through the airline or a site like Expedia, which is what we ended up doing. After several failed attempts of booking directly on TAME’s website, we looked up the same flight on Expedia and had no issues. Just be sure to click on the foreigner’s price, as Ecuadorians get a discount for internal flights. If you accidentally book with the Ecuadorian’s price, you will be made to pay the difference, which can be as much as double as the price that you booked for leading to a nasty surprise at the airport. Most flights will leave either from Ecuador’s capital Quito, which is a nice city to spend a couple of days or Guyaquil on the Pacific coast. If you fly from Quito, you will spend a short time on the tarmac in Guyaquil but you won’t need to change planes and your bags will go directly to whichever Galapagos airport you’re flying into. When we looked we were already in Quito and it was only $50 cheaper to fly from Quyaquil than from Quito and considering the price of bus tickets, taxis to the bus station, and paying for a place in Quyaquil the night before the flight, never mind the hassle of it all, we felt it was worth just booking from Quito. That said, if you are continuing to travel in Ecuador and any of the southern destinations such as Cuenca, Vilacambamba, or Esmeraldas, you may want your return flight to land in Guyaquil as a bus to Cuenca for example, is only 3 hours from there as opposed to 8 hours from Quito. Landing at Baltra Airport on the Galapagos Islands! There are two airports to fly into in the Galapagos Islands and we recommend flying into one, and leaving from the other. For example, we flew into the main island’s (sort of, more on this later) airport, Baltra and then flew out of San Cristobal. This was the most affordable option and allowed us to see more of the islands. Our flight came to about $480cad to fly from Quito to Baltra and then San Cristobal to Quito. Also, prior to boarding in Quito you will have to pay $20usd for an immigration card that is meant to ensure that you won’t stay more than 90 days in the archipelago. You will need to present the card again when you leave so keep it in a safe place. If you want to visit Isabela island as well as San Cristobal, which we highly recommend, then it makes the most sense to fly into Santa Cruz and then out of San Cristobal, since doing it this way you will avoid 3 extra ferry trips. If you fly into Baltra, which is the airport that services the main island Santa Cruz, you will actually land on a separate island, where you need to take a ferry boat to Santa Cruz for $1usd per person, and then a bus to the town Puerto Ayora for $2usd per person, or a taxi. The bus takes about 40 minutes and ran efficiently when we took it. We saw other posts that said the buses don’t leave until they’re full and get really hot because they don’t have AC but ours had working AC and left half-full within 5 minutes of us boarding. You could pay a small fortune for a taxi, which will take about the same time, or take this relatively inexpensive bus. We recommend the bus. There will be many more opportunities to haemorrhage money in the Galapagos, trust us. 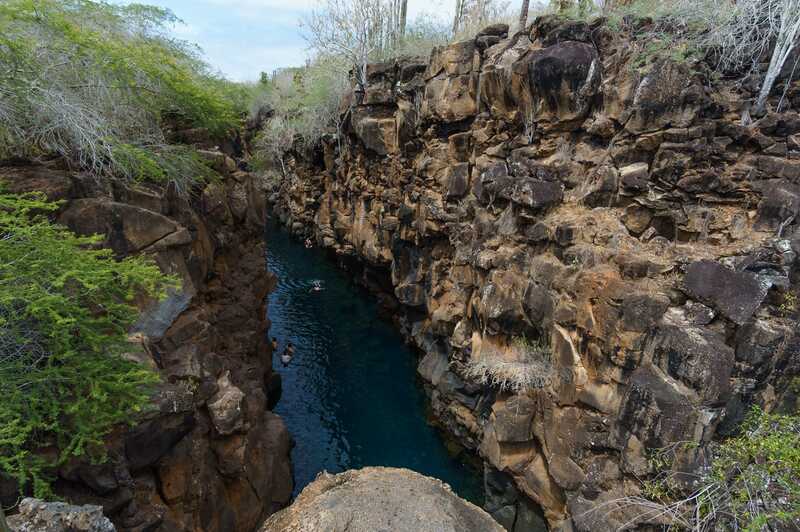 One such way is by the mandatory $100usd per person entry fee that you will have to pay once you land in the Galapagos. About 40% goes to the park and the rest is shared with other government agencies. A breakdown of the fee can be found here. So to summarize flight costs and considerations quickly, you will need to pay an additional $120 per person in entry fees, ensure that you are booking the traveller fare, and be prepared to take a boat and then a bus to get to Santa Cruz. If you’re doing a land based trip to the Galapagos Islands you’ll likely have to plan your own trip rather than following a travel agencies itinerary. So, what are the best Galapagos islands to visit? The inhabited islands that most people who do a land based tour of the Galapagos Islands visit are Santa Cruz which is serviced by the Baltra Airport, Isabela, which can be reached by ferry from Santa Cruz, and San Cristobal which can be reached by ferry from Santa Cruz and is serviced by the San Cristobal Island Airport. Floreana Island is another island to consider, it has only a population of 125 and is relatively easily accessible by ferry from Santa Cruz and can be visited without an organized tour. Puerto Ayora is the main town on Santa Cruz Island, Puerto Villamil is the cute fishing village on Isabela Island, and Puerto Baquerizo Moreno is San Cristobal’s town. For ease’s sake, I will use only the island names, but you will need to know the town names when searching for lodging. 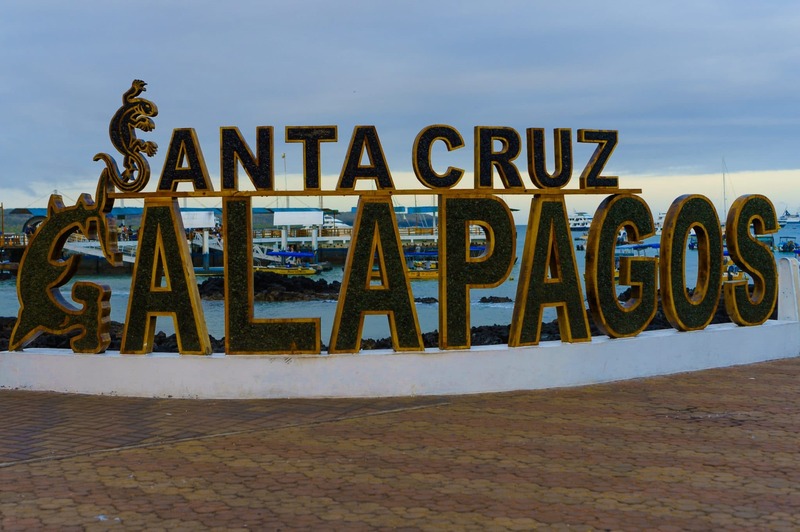 Santa Cruz is by far the most-visited island given that is has the largest airport, most populous town, and is where a lot of cruises are launched from. There you will find free attractions including the staggeringly beautiful Tortuga Bay beach, Darwin Research Station, as well as the Las Grietas swimming caves, and Alemana Beach which can be reached by an 0.80usd one way water taxi. Santa Cruz is a great place to rent bikes for $15usd per day and tour around to various coffee farms, volcanoes, lava tunnels, and Garrapatero beach. You can also hire a taxi and drive to the sights in the highlands such as the Gemelos Craters, and Cerro Mesa tortoise centre for about $40 one way, so it’s best to try to find some people to share a ride with. Many activities can be done without a guide but Santa Cruz is also a great place to organize day tours or even last minute cruises from. It is by far the most developed of the islands and it is easy to find anything you may need there. Click here for our in depth post on Touring Santa Cruz Island. Isabela is the largest, least-populated, as well as the most raw and wild of the inhabited islands. So wild in fact, that 97% of the island is classified as a protected national park. 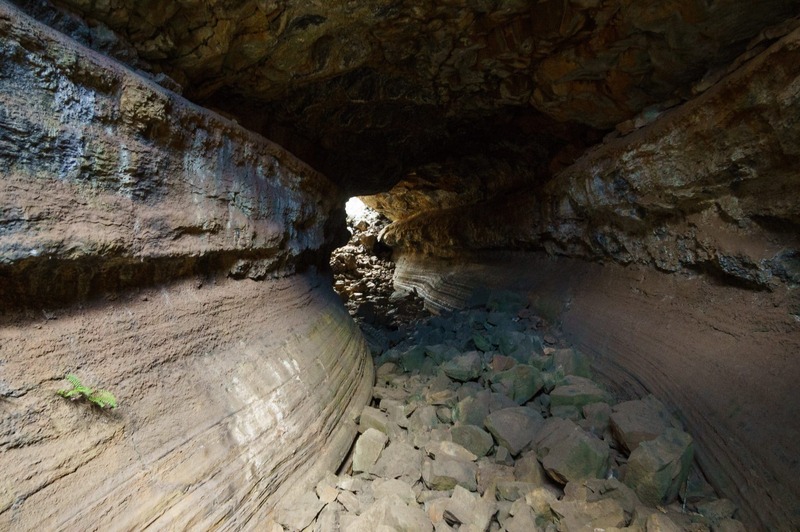 The active Sierra Negra, Cerro Azul, and Chico volcanoes continue to shape the island, including its rugged coastline features some of the most impressive ancient, hardened lava flows you’ll see in the archipelago. While walking along the beach for example, you can clearly see where old lava flows were stopped by the water. Some other free activities on the island include visiting the wetlands where flamingos can be spotted right in town, snorkelling at Concha del Perla, which is great, and cycling along the cycle path to the Wall of Tears and a fantastic viewpoint overlooking the island. Outside of these, many places on the island require a naturalist guide to visit so you will need to pay for tours to see some of the best places, such as Los Tuneles. As an aside, the island is utterly crawling with marine iguanas and it seemed to have the largest population of the inhabited islands. Isabela is also the best island to see the Galapagos Penguin. Here is our in depth post on Touring Isabela Island in Galapagos. San Cristobal is a nice blend of the two islands, with a slower pace than Santa Cruz but more developed than Isabela. This resulted in more opportunities for DIY exploration. It is also where you can easily get your fill of sea lions. There are a number of beaches and snorkelling spots that can be reached by walking or hiring a taxi, as well as some organized tours to farther points on the island or nearby Espanola Island. 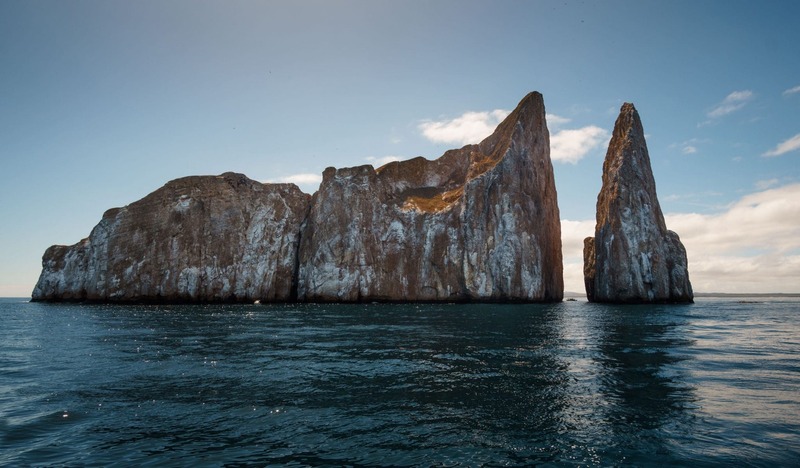 Kicker Rock is the most popular tour – and a good place to see hammerhead sharks if you’re diving and even while snorkelling if you’re really lucky! Kicker Rock, a popular dive and snorkel site off San Cristobal is a great place to see Hammerhead Sharks! See our San Cristobal-specific post! We did not have time visit Floreana but we wanted to include it since it’s an easy to visit DIY option from Santa Cruz. If you want to take a day trip to one of the nearby islands but don’t want to pay upwards of $160 for an organized tour, then Floreana is a great option. As of writing in June 2018, ferries left for Floreana on Monday, Wednesday, and Friday at around 7am for about $25-30usd. Bikes can be rented on the island for about $15 person/day and many of the sights can be reached via a bike ride. The above-mentioned mentioned islands can be reached via a ferry from Santa Cruz Island, with of course the exception of Santa Cruz which has to be accessed by air or by ferry from San Cristobal. Ferries are by far the most cost-effective option, but do keep in mind that the seas may be rough and the journey stomach-churning. These ferries are not large vessels where you sit inside, completely covered by four walls. Rather, they are small speedboats that carry between 20 and 40 passengers, usually fitted with at least 2 outboard motors. You will feel the bumps less at the back of the boat. There are multiple people selling ferry tickets and most are in the $25-30 range on Santa Cruz. Note that you will not necessarily get a better boat for paying more. For example, we sailed on the Lancha Mi Sol both to and from Isabela and paid $25 both ways, but most people were selling tickets for the Isabela-Santa Cruz journey for $30, so we asked around until we found someone selling for $25. No sense in paying more for the same boat. There are other boats that you can buy tickets for in the $40 to $50 range that will be roomier and may offer a small snack during the voyage. The journey between Santa Cruz and Isabela is about 2 hours. Santa Cruz to San Cristobal will take about 2.5 hours. Scan the horizon to keep the seasickness at bay and you may also see noddys, petrels, albatrosses, and boobies, flying above the water. Manta rays can sometimes be seen on the surface and lucky people have spotted dolphins and whales while making their crossings. Keep some small coins and bills on you since you will need to pay for a water taxi to both board and disembark from the ferry. Usually, it’s around $0.50-$1 each way. Landing on Isabela requires a $10 per person fee. You can also expect your bags to be lightly searched for organic substances. There is no doubt, a wealth of wonderful free activities to do in the Galapagos, but we feel that if you stick to only those you will be missing out on some of the best wildlife and scenery that the Galapagos Islands have to offer. We definitely recommend setting aside money for some day tours, which you can easily book on each island. These tours are by no means affordable, but they are so worth it. Most sea-based tours to other islands will cost at least $100 to as much as $180, while land based activities such as visits to the highlands will cost about $25-50. When you get to the islands, you can simply walk around from shop to shop to get some information and prices on the different tours. You will be absolutely overwhelmed by choice so it’s a good idea to think about what you want to see the most when you’re there. If it’s marine life, then look into SCUBA diving or tours that offer snorkelling. 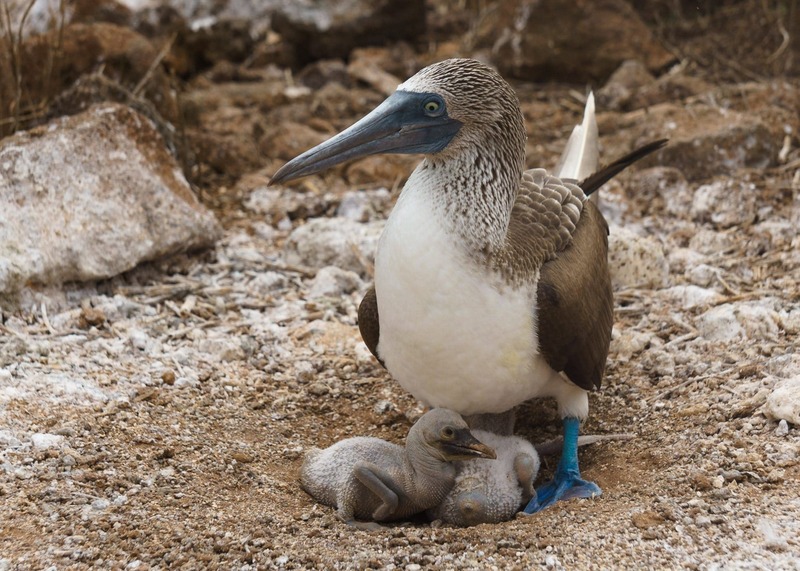 If it’s blue-footed boobies and land iguanas that you want to see up close, then a trip to North Seymour Island from Santa Cruz is the best for that. Also, consider seasons for wildlife viewing too. Some birds for example, will be difficult to see if it’s not nesting season. As for sea lions and marine iguanas, they are everywhere on the 3 main islands. Penguins can be seen near Isabela and flamingos can be spotted right in town. San Cristobal is a sea lion haven. Isabela and Santa Cruz also have easy giant tortoise viewing options. Tours have mostly set prices and really the only variation is how much the person with the storefront is selling it to you for. Indeed, we have been on tours where people paid $20 per person more than us for the exact same tour. No improvement in quality or any added extras, just more money for the same thing. Every tour that we took was well organized (except for when they couldn’t find our hostel and drove around Puerto Ayora for 45 mins, but that was a one-off and it went flawlessly after we were finally picked up). Feel free to negotiate prices that you were quoted, within reason. You won’t be able to get one for half price or anything, unless they are really trying to sell a tour. For example, we were quoted a price of $75 for a snorkel tour of Kicker Rock, while other agencies quoted prices from $100-110. The person said they were the owner of the company and about to close up shop for the day, but had a few spots left on the boat leaving the next day so she was trying to sell the seats on the cheap instead of having them stay empty. We had however, already booked our SCUBA diving trip to Kicker Rock. Overall, these tours have been offered for years and the companies have them organized to a T. The guides are professionally trained and in general, very knowledgeable so pick an agent that you like, and let one of these family-run businesses set up a tour for you. We will follow up this post up with some others describing in detail what activities can be done on each island. SCUBA diving in the Galapagos is a magical experience, but booking a trip should require a little more research than booking one of the tours. There are multiple storefronts selling SCUBA diving trips, but they are not necessarily the same company who will be running the dive. Some people claim that Ecuador has been a little too permissive with SCUBA shops and their dive trips included poor equipment and unsafe practices. So be sure to find out the name of the company actually running the dive from the agent selling it to you. We dove the Seymor Norte and Mosquera sites with Sope Diving which has absolutely terrible reviews on Trip Advisor (albeit none of them more recent than 2014). Our experience was not terrible by any means, and safety was definitely a priority. We did a safety check dive prior to getting to the actual site and the dive master spent a good 20 minutes with us on the safety briefing. That said, he was a pretty crappy dive master while we were actually diving. He hung out a good 5 meters above us the whole dive and didn’t point any animals out for us. If it weren’t for divers letting others know when an animal was nearby, it would have been a pretty dull dive since the visibility was not very good. Again, price does not guarantee quality. The guy who sold us our dives told us that he gave us a better price than people on the same damn dive and asked us not to tell the others. We recommend not doing as we did for diving, and researching some good companies ahead of time. Scuba Iguana in Santa Cruz for example, has consistently good ratings, as do Wreck Bay and Scuba Eden in San Cristobal which we had great experiences with. We’ll dive into Isabela diving on our island-specific post. Our recommended itinerary would be to fly into Santa Cruz, spending a 4-5 days there and maybe visiting Floreana or Seymore Norte during that time. Then take a morning ferry to Isabela where you can tour the wetlands, snorkel Concha La Perla, or rent bikes to cycle to the Wall of Tears on the first day. 3-4 days should suffice to visit the rest. Take a ferry back to Santa Cruz for the night then sail to San Cristobal the following morning. 3-4 days in San Cristobal should suffice, and you can fly back to Quito from there. Depending on what you want to do while on each island, most will only need 4-5 days to see what each island itself has to offer, as well as take in a few day tours or SCUBA dives away from the island. If you want to visit Floreana, plan for an extra day on Santa Cruz. Two to three weeks should be more than enough to have a good look around the islands without being too rushed. 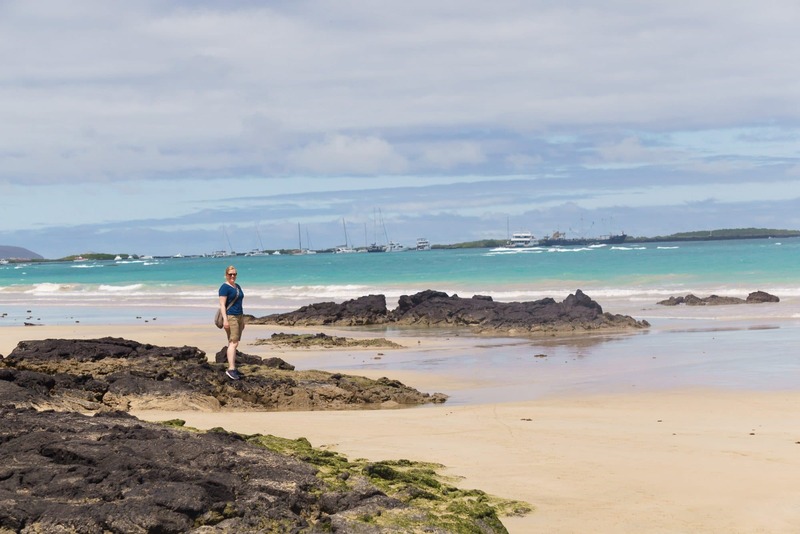 We liked the Galapagos Islands so much, that we re-scheduled our flight and stayed almost 3 weeks but some of those days were just for relaxing on the beach and it can be done on a shorter timeline. We had decent luck using Booking.com to find our hostels in the Galapagos, but booking ahead of time is not required. There are plenty of places to stay on each island and you shouldn’t have an issue finding a place unless you’re trying to book around Christmas, when tourism spikes to crazy levels. Ecuador has a lively Couch Surfing scene, so you may even be able to find a local host to take some of the edge off of hospitality costs. If you have never used Booking.com before, use this link to get a $25 rebate applied to your first booking. Budget rooms will cost between $25-45 per night, and that will usually include air-conditioning, “Wi-Fi”, and sometimes hot water. Wi-fi is really bad on the islands, so prepare for being out of touch during your time there. There are many tasty eating options on each of the islands to suit different budgets, but you will pay more than you would on the mainland. A typical almeurzo for example will set you back $4-5 on San Cristobal, $5 on Santa Cruz, and $6-8 on Isabela, instead of the usual $2-4 in the rest of Ecuador. Empanadas will be $2 a piece instead of $1, ice cream that costs only $0.25 on the mainland will be $1 in the Galapagos. Groceries will be more expensive too so you may want to stock up on dried or canned goods before leaving. You can’t bring fruit and vegetables into the Galapagos so don’t even try. They have dogs that will sniff your luggage once you land. If you’re eating on a tight budget, bakeries are your friends. There you can get a delicious pastry for 0.25$-$.50 a piece for breakfast. Have a large almuerzo for lunch at $4-8 which are often so much food that you can take some of it home for later (just watch out for hostel food theft, like the jerk who stole our leftovers in San Cristobal!). Dinner can be as simple as a few empanadas and kebabs for $2 a piece, or as expensive as you like with restaurants offering a la carte choices for usually no less than $10 and up to $25 a plate, or mienestras which are like almuerzos for $5-8. Food per person, per day: $10-$30, more for drinks (ie: $3-5 for a beer, 2X1 cocktails for $10). So roughly: $200-$955 per person (unless hospitality costs are shared), depending on how many and which activities you do. 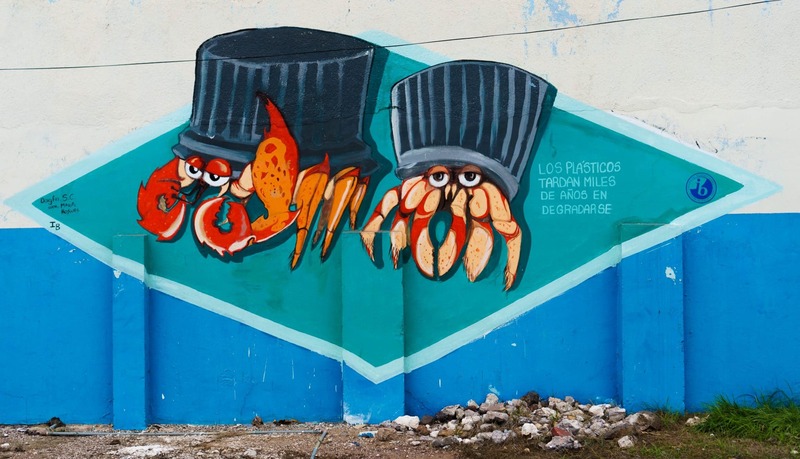 On Isabela and San Cristobal, you will likely pay a bit more for food and hospitality. We enjoyed doing a mix of inexpensive DIY activities, such as cycling and snorkelling, as well as some organized tours and diving. 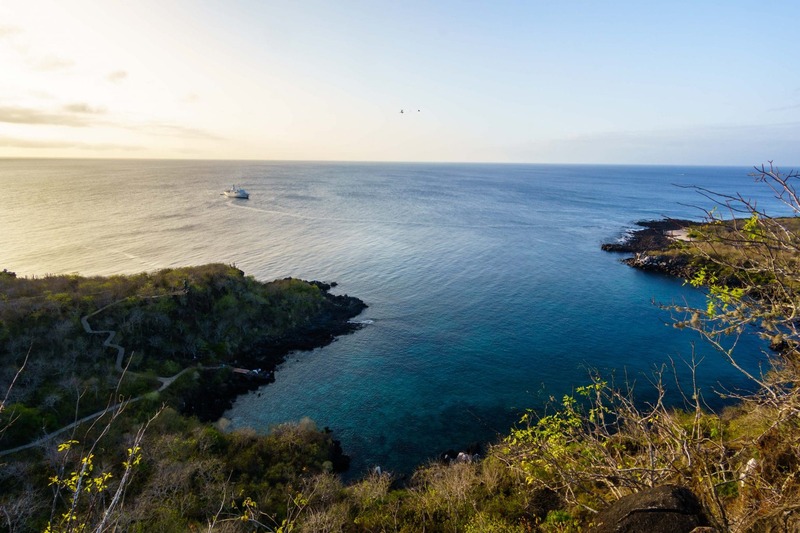 This drove our budget up, but considering a 6 day cruise will typically go for around $3000-5000 per person, we felt that we got great value out of our time in Galapagos. We also met people who scored a great deal on a cruise and paid only $1800 per person for 6 days, but they still felt like staying on Santa Cruz and organizing some tours and diving afterwards. Our total budget came to around $6000CAD for the both of us including our flights, 4 days of diving, and some organized tours, as well as DIY activities. We could have trimmed a bit more off by skipping sushi dinners, cocktails, and cooking more for ourselves or only diving 2 days, but we feel we got good value doing land-based travels in the Galapagos for almost 3 weeks vs a cruise. In the end, the Galapagos are by no means a budget destination, but they are a place that can be visited with a budget in mind. While it can be visited on less than $60usd per day, we recommend saving up for some tours or SCUBA diving since they are some of the best wildlife viewing and diving spots in the world and skipping that would be missing out on what makes the place so special. Our trip to Galapagos has been one of the absolute highlights of our 14 month trip around the world and is not an adventure we will soon forget. Water quality is known to be poor in Galapagos so we recommend bringing a reusable water bottle with filter rather than expensive buying plastic water bottles. We love our Katadyn Be Free bottles for this reason. The ferries can be a very rough ride, so if you get seasick, consider bringing some dramadine tablets to take before your trip. Bring American dollars with you before you land or use the Banco Pichincha ATM on Santa Cruz which allows you to take out $600usd at a time. Other ATMs on the Islands will only let you take out $200usd at a time which doesn’t go far and will make you pay fees each time. 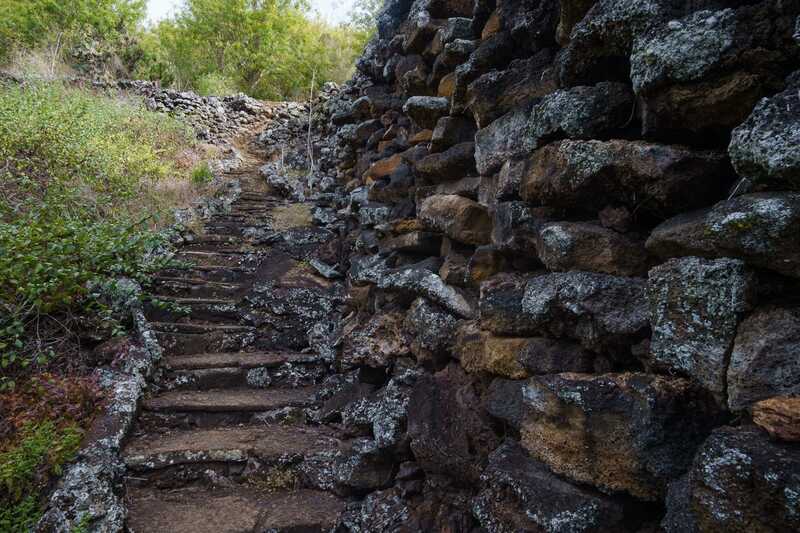 Banco Pichincha on Santa Cruz – the highest withdrawal amount we found on the Galapagos Islands. Wear closed-toe shoes or sturdy sandals when exploring. Volcanic rock is very sharp and flip flops won’t cut it for walking around. In April 2018, the Galapagos Governing Council approved a plastic ban (yay!) for the Islands and began phasing out plastic straws, grocery bags, as well as single use styrofoam containers and non-returnable beverage containers. We recommend always travelling with stainless steel straws, reusable cloth bags, titanium sporks, and a reusable water bottle/thermos to keep plastic use down. The Galapagos Islands are a destination like none other and with the information we provided, we’re sure you’ll be as enchanted by the Islands as we were. Stay tuned for a breakdown of what to do on each of the islands and be sure to subscribe so you don’t miss any posts! Well written – thank you! I would just add some nuance re: cruises (I specialize in them). True, they can be a budget buster if you are on a limited budget. But if you can find the $$, they offer a very nice way to get the most out of Galapagos in 8 days. You wake up at a visitor site, before dawn if you choose. Watch the sun rise over a volcano… sipping a hot coffee… see dolphins languidly swim by… You’re on land early in the morning, before the sun is too hot, and while the animals are at their most active. You have lunch / lazy siesta while motoring to another destination in the afternoon. Snorkeling in many different places. 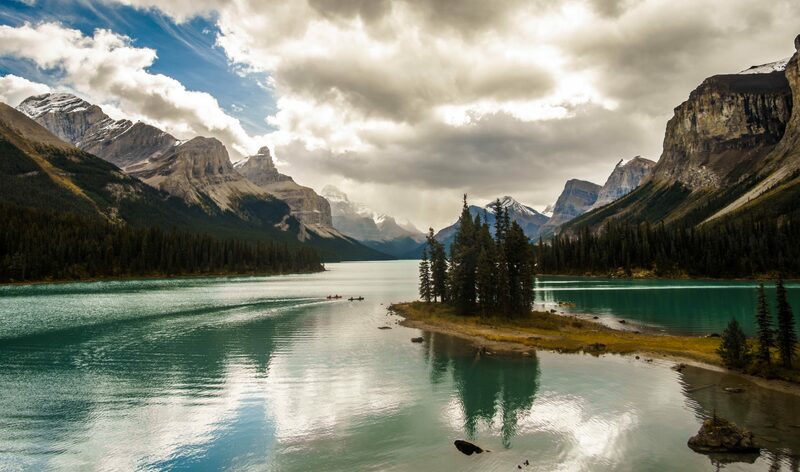 You feel like you’re in the middle of nowhere – you’re not back in a noisy bustling town every night. There’s a bit of a mind-trip going on that you can’t get while on a land based trip. Great report – thanks! Just to add some nuance on the advantages of a cruise, as I feel they’ve not been well documented here..(fair enough – it’s a land based visit article). True, a cruise can be a budget buster. So, the first thing you need to determine is your ability to spend the necessary $$ on one. Starting at about US$400/person/day on a ship (there are few cheaper cruises, but there’s a reason they are cheap – most people end up not happy). If that’s not completely out of the question, then consider a cruise. You will wake up each morning, before sunrise if you like, to new sea and landscapes, floating off shore, watching the world wake up. You’ll be on land very early, before the sun gets too hot, and while the animals are active. You’ll move to a new site while having lunch / siesta. You’ll spend the night under the stars, and felling like you’re in the middle of nowhere, getting away from the noisy town environments of barking dogs, loud music and T-shirt shops. You’ll pack in a lot more “Galapagos” in the same amount of time. Thanks for the feedback and alternate perspective Marc. Maybe one day we’ll go on a Galapagos cruise and be able to compare and contrast! Thank you for this info! This is exactly the information we were looking for and it gives us some budget options for our land based tour. We want to spend 2 to 4 days on 2 to 3 islands – your suggestions and details helped us to plan our trip! We’re so glad you found it helpful, enjoy your trip! I enjoyed reading your posts and was wondering wjat time of the year you were in Galapagos. Thanks, glad you enjoyed it! We were in Galapagos in June.